Make purchasing decisions that support your values. 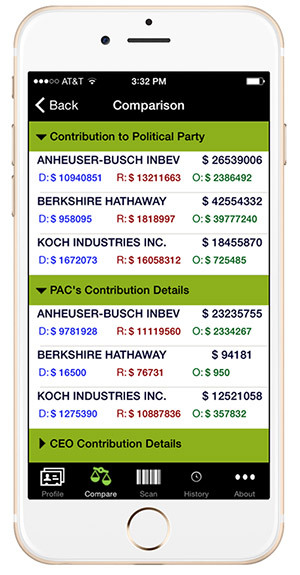 The BuyPartisan app was developed by Spend Consciously to help you make purchasing decisions that support your values. Based on research from Edelman and BBMG studies, we found that 90 million people want to make purchases that align with their belief system, and an additional 76 million try to make purchasing decisions based on variables like ethics, politics, social responsibility, environmental behavior, etc. At the same time, we are demanding more transparency and accountability for corporate political spending. We want grassroots ways to vote with our wallets no matter where we are in any given election cycle. The problem? Data. Messy, scattered, unfiltered data. Not only is it growing exponentially every year, but data on corporate political contributions has been either unavailable or too cryptic to understand, rendering it pretty useless. We decided to do something about it. The Spend Consciously team of developers spent months organizing that data and developing BuyPartisan for consumers – and we’re just getting started. As our society moves towards economic, corporate and political transparency, let’s put our money where our values are. 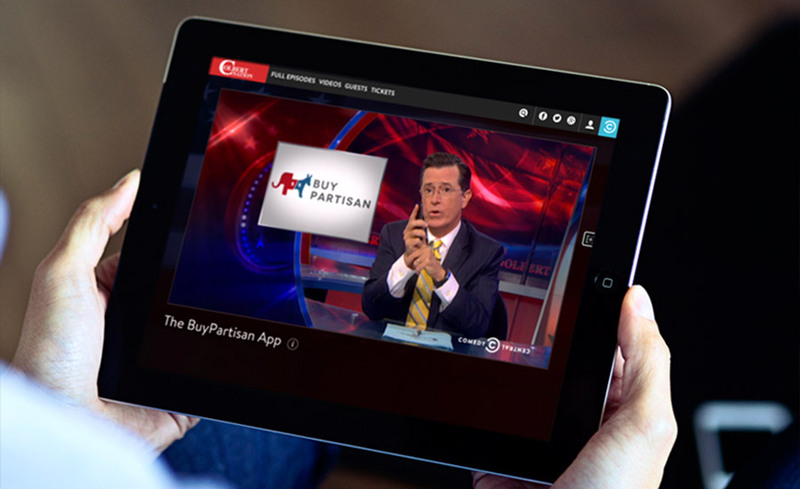 Enjoy making smart, informed decisions using the BuyPartisan app – and stay tuned for more! 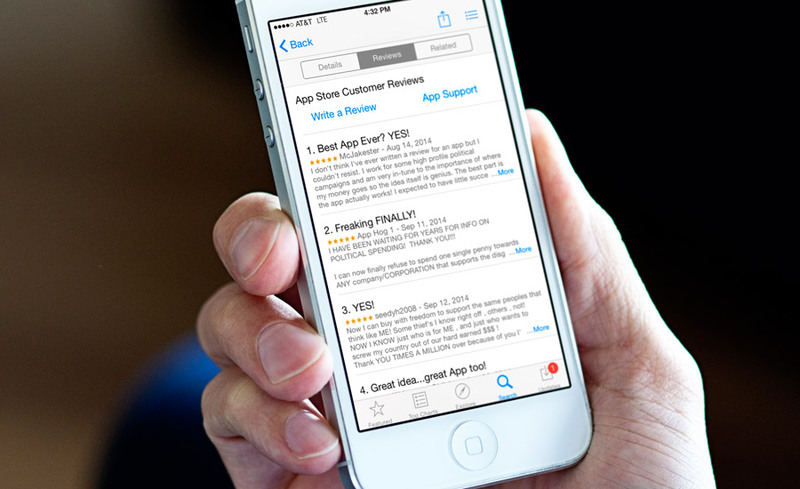 Want to learn more about the company behind the app? Spend Consciously is a technology startup based in Washington, DC that aims to be the 21st century reinvention of the nutrition facts label. 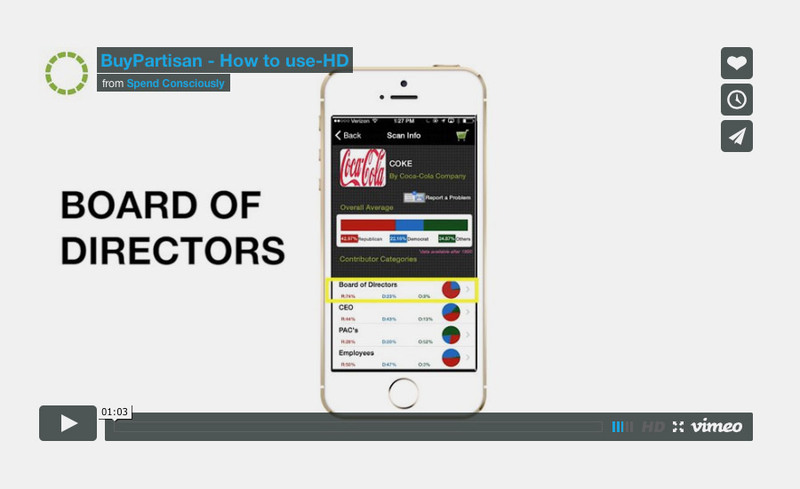 We are hard at work developing additional tools like apps and web-based platforms to ensure that consumers are able to spend their money in accordance to their value system.